How we talk to ourselves makes a difference. It can lift us up, or it can tear us down into itty-bitty pieces of meh. It can translate into actions that help us move forward, or actions that leave us feeling stuck. This is the power of self-talk and the topic of Episode 19 of The Leadership Forum. 00:00 – 2:50: Welcome and Introduction! 2:50 – 12:48: How leaders recognize positive and negative self-talk. 12:48 – 16:05: Personal experiences. 16:05 – 18:25: Self-talk from the business perspective. 18:25 – 23:22: Self-talk as a leader. 23:22 – 29:54: Business messaging. 29:54 – 35:50: Things we can do to help our self-talk. 35:50 – 38:05: The need for reflection – wrap-up. 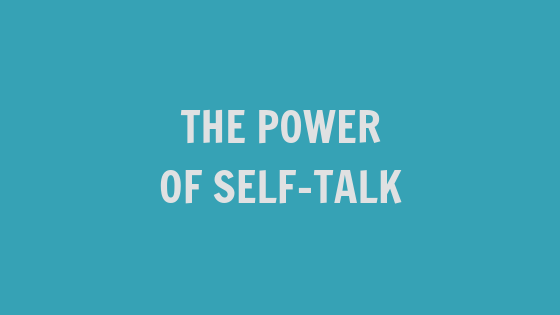 Self-talk is, literally, how you talk to yourself (shocking, right?). We do this all the time, usually without realizing it. More often than not, it shows up as bullying. That’s right: We are our own worst bullies. We talk down to ourselves all the time, and over the years it can turn into some pretty negative self-fulfilling prophecies. It took a long time for us to recognize when we were engaging in negative self-talk. Over time, we’ve not only learned to identify it. We’ve also started calling one another out on it. Having someone who can help us reframe statements like, “That will never work”, or “I’m not cut out for that” is huge. Don’t have a biz partner like us? Find a best friend, boyfriend, girlfriend, mom, child, or stranger off the street to be your self-talk accountability bud. It will make a world of a difference. The more you engage in something, the more it becomes your reality. If you’re used to talking down to yourself around certain topics (say money), then it will become normal. So normal, in fact, that you won’t realize you’re doing it. Being bummed about money is just the status quo. Self-deprecating humor becomes normal. But this isn’t okay. I mean, can you imagine telling other people the sorts of things you tell yourself? No? Then it’s time to rework that. When you start to recognize the habits you’ve formed, and the beliefs you’ve created, it becomes easier to call yourself out. Of course, there’s more to it than that, but it’s a great place to start. We are not mindset coaches, but we’ve been on a journey of self-development since the moment we raised our hands and said “yes” to this entrepreneurship thing. It’s taken baby steps (a lot of them!) and the mentorship of some amazing individuals who are mindset coaches. And guess what? It’s a process with no end. Every single time we come up against something new, we peel back another layer of the onion. But mindset work can help in a big way. For example, when I learned about my depression diagnosis this past spring, I already had tools to help me. I had more awareness, I had a network, and I had resources that helped me feel confident while navigating depression. The amount you can limit yourself and your business is staggering. For example, for years we said “We’re not going to write sales pages”. Not because we weren’t good at them. Not because we didn’t like them. But because we were scared. They weren’t what we “usually” did (back then we were known solely for writing website copy), and felt like too big of a stretch. Because we said we were never going to work on sales pages, we never got sales page clients. We closed ourselves off from that possibility. But when we switched things up and decided to give them a try we not only discovered that we loved writing them (and seeing our clients get results! ), but we also brought in a slew of new business from incredible business owners. The lesson here is not to do all of the things. You can stay strategic and streamlined. Just don’t limit yourself because of a story you’ve created. Okay, so what does this self-talk stuff have to do with messaging? Quite a bit, it turns out. Here’s the deal: whatever you put out there on your business, is self-talk. It comes from you (even if you didn’t create it). That means you have a choice. You can create constructive content that elevates your status as a leader, promotes your offers like a champ, and lets you get your big idea out to the world. Or, you can create half-hearted content (or hide from content), stay in your comfort zone, and waffle about trying anything new. Again, you don’t need to do everything, but it is worth looking at why you are or are not doing something. Remember: We are our biggest bullies. If you wouldn’t let anyone else talk to you in a certain way, don’t give yourself that permission either. 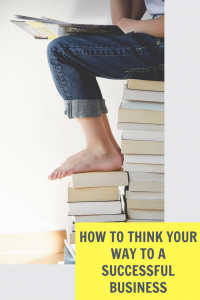 Ready to set out on revamping your self-talk game? Finding awareness is the first step, and giving yourself time to reflect is critical. If you want someone to help you on this journey, find a community or a coach to share in the journey. You don’t have to go it alone. And don’t forget to reflect on how far you’ve come. If you’ve been walking this path for awhile, revisit your old messaging and clear it out of any lingering gremlins. Have you ever bullied yourself? Share your experience (and how you overcame it) below.